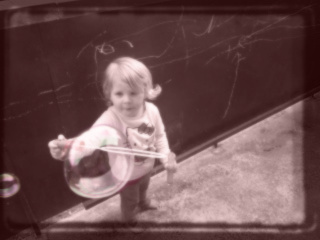 is there seriously anything better than those soapy little circles full of air? floating around you whilst listening to the giggles and extreme screeches from the little ones? i think not. 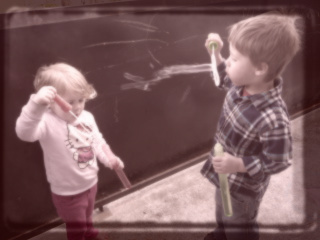 these kids are bubble-freaks. love them. i can completely understand why, they just brighten your day irregardless of everything and anything else happening around you. they put an instant smile on your face. i grabbed these bubble wands from wally world, they were a buck! great treat and my nuggets thought they hit the jackpot of twenty-eleven. 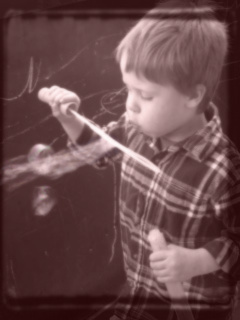 what better way to welcome spring than blowing bubbles on the balcony in the sun. the sun that has been playing hide & seek for, what seems, like a lifetime. [little does the sun know, it picked a pretty good hiding spot because i sure as hell couldn't find it!] i guess the sun got bored and decided to poke it's head out, we knew it couldn't stay away long, right? i can't wait to have more of these days. 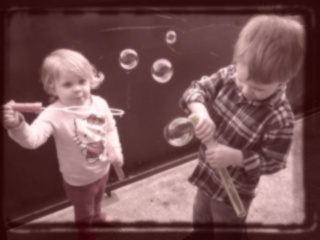 something as simple as bubbles, can totally make my day & the nuggets. welcome spring, i hope you're here to stay for a while, i'm sick of the fluffy white stuff. even being canadian, i get sick of it - don't hate. haha. i'm just sayin'. i much rather the sun, warmer temperatures, and everything that comes with both of those. i'm only human and can only take so much of the grey skies, fluffy white stuff and everything that comes with it. 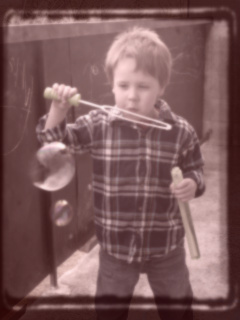 so something like a lttle sunshine and add something like, bubbles; pure contentment. simplicity at it's finest.